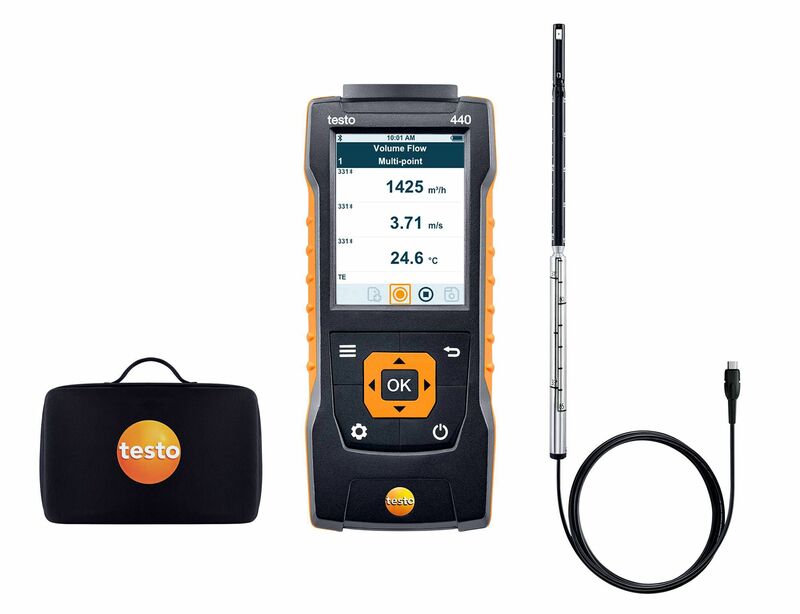 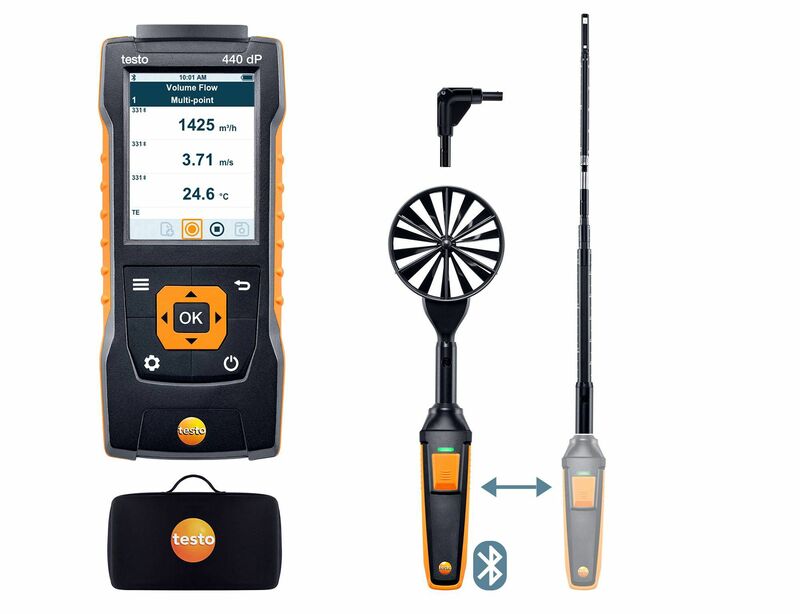 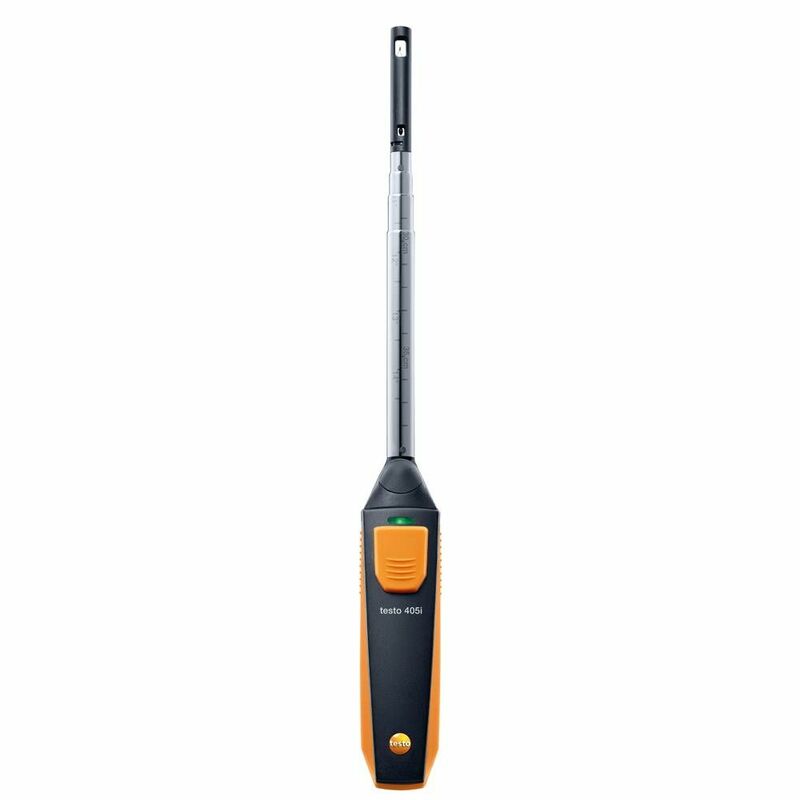 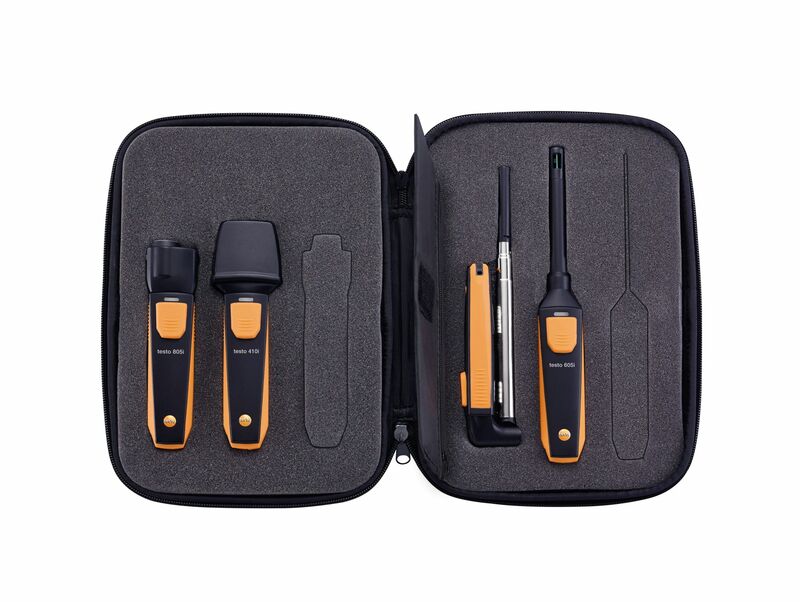 The testo VAC Smart Probe Set provides a combination of four Smart Probe instruments, used with your smartphone or tablet to test and balance multi-outlet ventilation systems. 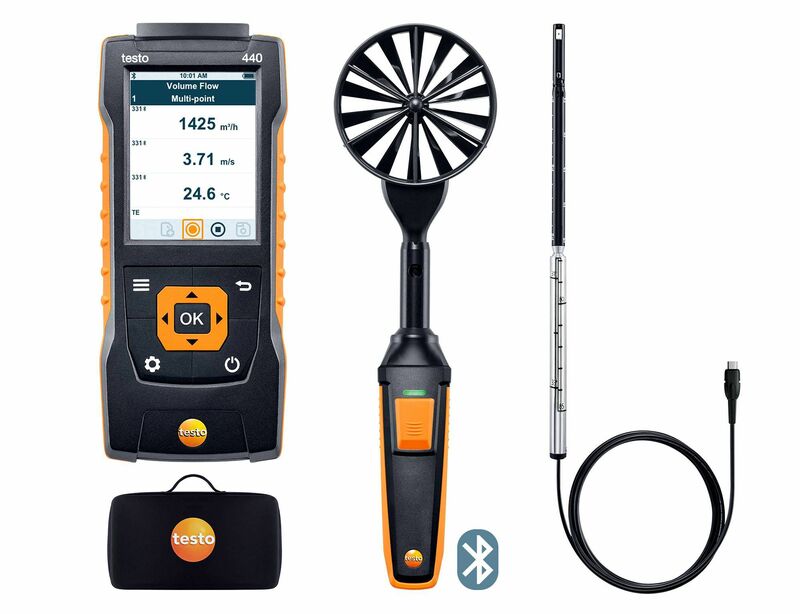 Two types of anemometers give you the capacity to measure in-duct air flow, and the flow from each vent. 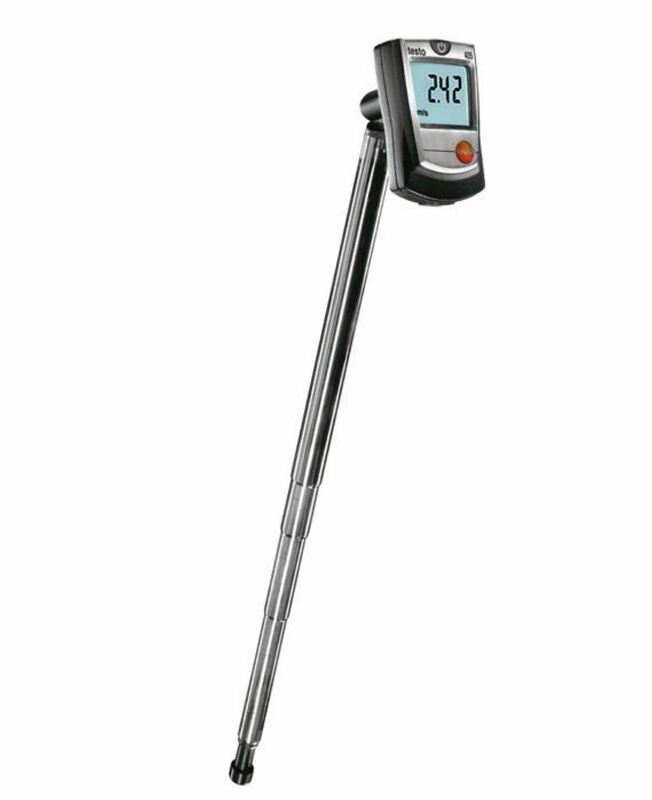 Using the IR temperature probe for surface temperatures will show you motor and electrical equipment conditions, also allowing for easy checking of each outlet. 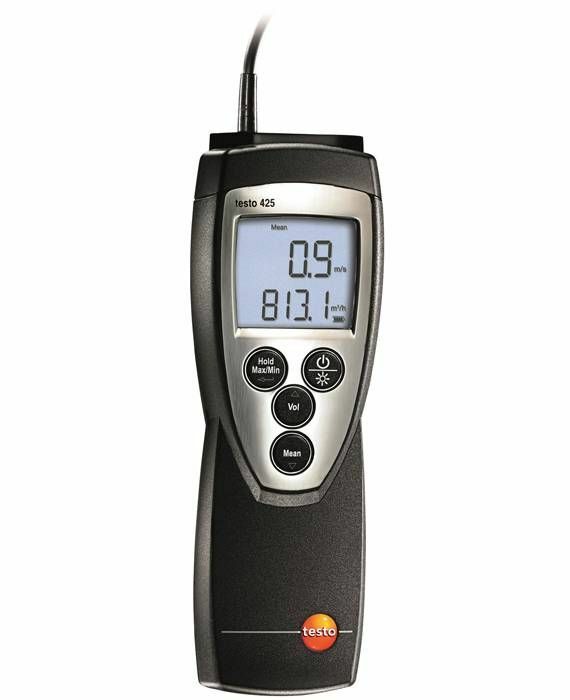 Lastly, the thermohygrometer provides an assessment of the humidity and dewpoint levels throughout the system.